In one beautifully observed, quietly absorbing novel after another, Alice McDermott has made the insular world of New York's Irish Catholic immigrants in the first half of the 20th century her own, much as Anne Tyler has laid claim to Baltimore's middle class. And, like Tyler, in focusing tightly on a close-knit community of ordinary people, she leads us to a deeper understanding of the human condition. 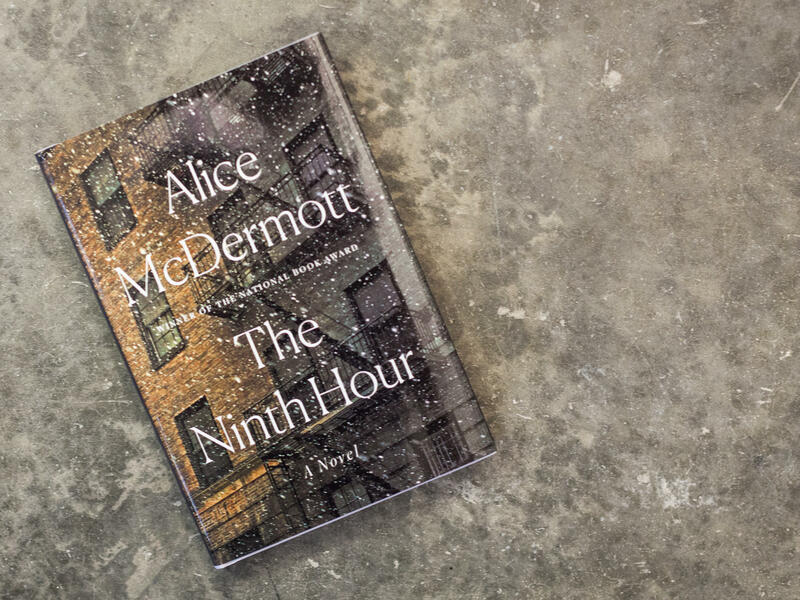 The Ninth Hour, McDermott's eighth novel, is about an order of nursing nuns and the needy families, elderly shut-ins, disabled invalids and strapped widows they care for in a predominantly Irish Catholic neighborhood of Brooklyn. Who cares about nuns? Read this book, and you will. The Little Nursing Sisters of the Sick Poor are not the cruel knuckle-rappers that dominate parochial school fiction. The unpaid, unlicensed equivalent of social workers and visiting nurses, they trudge from one derelict walkup to another, bearing apple sauce, poultices, and aspirin. They change sheets, diapers, and bedpans, scrub homes and wipe bottoms. They may toil thanklessly and view their mission as "the pure, clean antidote to filth, to pain," but McDermott makes one thing clear as she burrows deep into these Sisters' psyches, histories and not always sanctioned behavior: They are distinct, opinionated individuals underneath their impersonal habits. Despite their vision-blocking bonnets, they see everything, including the ugly side of humanity — nasty, drunken husbands, a brother who abuses his sisters, a whining, ingrateful invalid, and greedy priests who live in relative comfort while taking credit for their ceaseless labors. But they are also willing to look the other way and flout Church rules and moral edicts when they see fit. Death figures prominently but matter-of-factly in this novel — as it does in much of McDermott's work, including Someone (2013) and her 1998 National Book Award-winner, Charming Billy. This new book opens with the suicide of a young husband, a BRT trainman whose "trouble was with time," and whose faith sometimes "fell out from under him like a trapdoor." Sister St. Saviour, trudging home to the convent with sore feet and bursting bladder after a cold day of collecting donations outside Woolworth's, stops to investigate the cops and commotion at a house along her way. Accustomed as she is "to breezing into the lives of strangers," she quickly scopes out the situation and finds the man's pregnant young widow, Annie, prostrate on a neighbor's bed. "What we must do," she tells her, "is to put one foot in front of the other." Although exhausted, the elderly nun spins into action — directing her younger Sisters to wipe away all evidence of the tragedy before Annie returns home. Noticing the fine stitching on the new widow's handkerchief, she secures a job for her in the convent's basement laundry. She also tries to arrange a Christian burial for the deceased, even though it involves burying the actual circumstances of his death. "It would be a different Church if I were running it," she comments tartly. Narrated more than half a century later by Annie's grandchildren (who refer, occasionally, to "our father" or "our mother"), the novel focuses primarily on the early decades of Annie's daughter's life. Sally, raised under the benign influence of three nuns, considers taking the vows herself. But a powerful chapter in a book filled with them dramatizes Sally's change of heart, on a nightmarish night train to Chicago where her vocation is sorely tested by a series of crude encounters. God is definitely in the details in this book, named for the hour of afternoon prayer. McDermott vividly describes the ministrations involved in "an invalid's cosseted routine" — including blood-stained bedclothes and eruptive bowels. In her hands, the unending round of the convent laundry becomes a riveting read: Linens, habits, capes, bonnets, handkerchiefs and menstrual rags must all be boiled twice, inside out and then right side out, with specific noxious compounds, wrung and then wrung again, starched, ironed and mended, before being sent "back into the world like a resurrected soul." Even the clothespins are washed monthly. By immersing readers in such homely details, The Ninth Hour, like Colm Toíbín's Brooklyn, evokes a narrowly confined, simpler, largely bygone world. But McDermott also addresses big, universal questions — about what constitutes a good life, and about how to live with the knowledge of "that stillness, that inconsequence, that feral smell of death." Her novel encompasses base hungers, sin, guilt, reparations, secrets, and depression — so little understood at the time. And more: The Ninth Hour is also about love, both forbidden and sanctioned, albeit with the caveat that "Love's a tonic ... not a cure." This enveloping novel, too, is a tonic, if not a cure.